Susan Khalje teamed up with Rhonda Buss for a mini workshop in Chicago. How cool is that? I had the pleasure of being one of the fortunate souls (sewists) who attended the sold out workshop last November. The group gathered at Soutache on the North side of Chicago for a full day of learning from master designers/couturiers. Susan and Rhonda taught several couture, design, and fitting techniques. The day begin with Susan teaching the participants how to sew a couture skirt using fine guipure lace. The construction process is slow and the lace is meticulously shaped as one continuous piece. Her lessons also included tips and techniques on the construction of a beautifully sewn brocade dress that included underlining, inter-support system, and hand picked zipper. Susan gave us step by step instructions on the hand picked zipper process. In that lesson, I discovered I had missed a very important part of the process. Where the two sides meet, center of the zipper, there should be a slight hump when the zipper is closed. When the garment is worn and forms to the shape of the body, there will be no zipper exposure. This simple step in the process makes a world of difference in the finishing of a hand picked zipper. By lunch time the students were all smiles and very pleased with what they had learned thus far. During break everyone was sharing sewing experiences and asking questions. Each person bought their own lunch, though a few kind ladies bought salad and desserts to share with everyone. Mily, the owner of Soutache, was on hand. The shop was open to the students to make purchases during the workshop. I think the location for the workshop was excellent. It provided adequate space to accommodate about twenty students. No one felt crowded or uncomfortable. The second half of the day, Rhonda taught a mini course on pattern drafting, which included lessons about sleeve design and several illustrations on rectangle and square garment designs. She brought several of her designs as well and shared the construction process of those garments. Rhonda's teachings also included segments on the difference between petersham and grosgrain ribbons and demonstrated how petersham can be used as a facing on a skirt. She also taught the group how to properly sew on hooks and to use a thread bar instead of the metal eye. The final segment of the workshop was devoted to fitting participants' muslins. 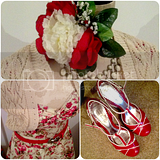 We were invited to bring patterns and muslins. We came prepared. Each person was fitted and explanations of the adjustments were discussed and shared among the group. The last half hour was spent purchasing designer trimmings and notions bought by Susan. This was an excellent workshop. By the end of the day, I wished for more. The room was buzzing with excitement. Everyone seemed enthusiastic about the possibility of using some of the techniques learned at the workshop. I'm putting in a bid to have more workshops like this, and I feel so very fortunate to be a part of the Haute Couture Club of Chicago. This is where I first met the fabulous Rhonda Buss. Susan Khalje was a presenter at a club meeting about two years ago. It was my first time hearing her speak. 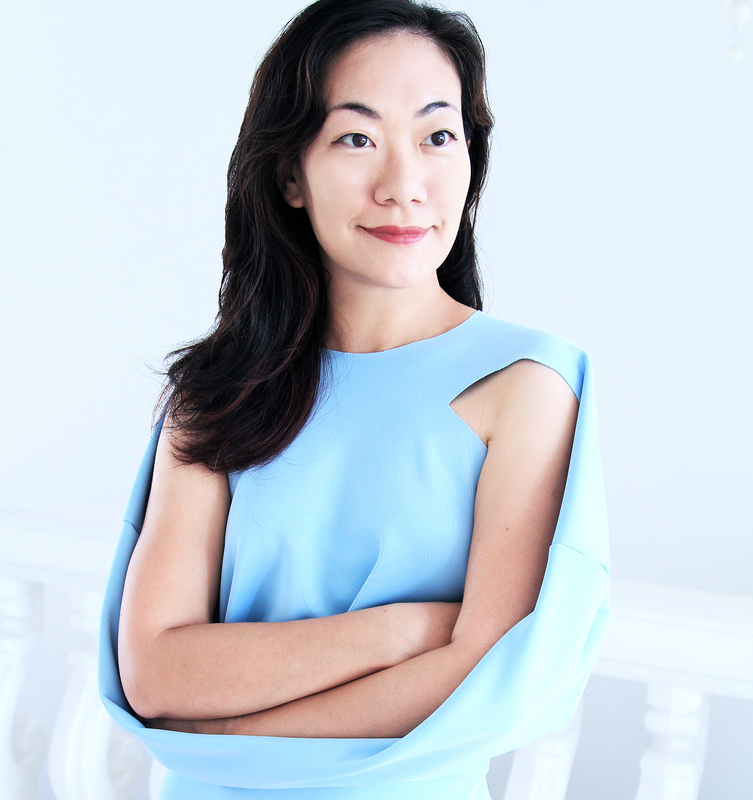 Both ladies are experts in the field of couture sewing and are excellent teachers. I can't wait for the next workshop. Be inspired! Books are good, but a fine teacher is superb! Oh how exciting, I wish I could have been in attendance. Look like you all had marvelous time and learned a lot of valuable information. Rhonda and you are such an inspiration. I have learned so much from you guys. I admire them too. 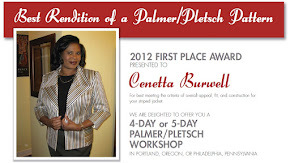 I wish they would offer another workshop this spring. Wow, what a great day! I'm so glad you were able to attend- sounds like an amazing learning experience! Two of my favorite teachers, friends and colleagues - I've had the opportunity to work with and learn from both Susan and Rhonda over the years. You were so wise to take advantage of this opportunity! Looks like it was a great day. How cool!! Sounds like it was a full day of learning and sharing. Yep, a full day. It was great. 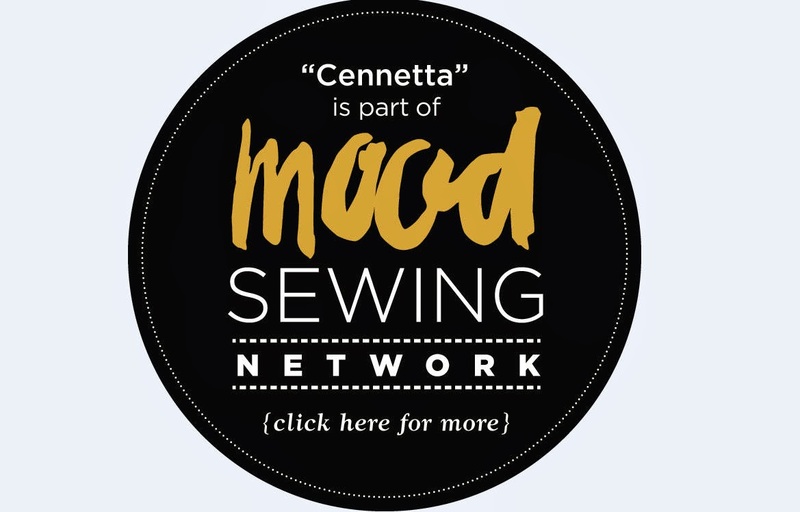 Wow, you are very lucky in Chicago to have such great sewing (and fabric/fashion) resources! I wish that I could have been in attendance. Chicago is the place! 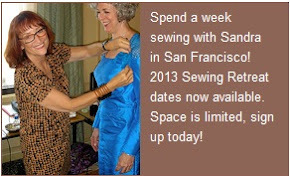 Susan Khalje is one of the best sewing instructors! Happy belated retirement to you! What a blessing! How lucky that you were able to take this workshop. I took a one hour class at Mood Fabrics in NYC several years ago that Susan Khalje gave regarding the Chanel jacket. She was such a great teacher!